Engineers Without Borders members demonstrate why leaks occur in the current water supply system. Washington State University’s student chapter of Engineers Without Borders will hold a fundraising dinner and auction 6:30 p.m. Friday, Feb. 15, in Ensminger Pavilion on the WSU Pullman campus. Speakers will include Celestino Marian Gallardo, international relations minister from Ngäbé‑Buglé Comarca in Panama, and Destry Seiler, a WSU alumna who is serving in Panama with the Peace Corps. The cost is $50 per person with all proceeds going to support the students’ clean water project in Panama. WSU’s Engineers Without Borders is partnering with the rural village of Zapote, Panama, to bring clean water to its residents. The village, located in the Ngäbé‑Buglé Comarca region, does not have access to a reliable water source four months out of the year, and more than 80 percent of the homes in the village lack running water. Water supplies have been decreasing since 2010, and without reliable water and good sanitation, people in the village are more susceptible to the spread of diseases. 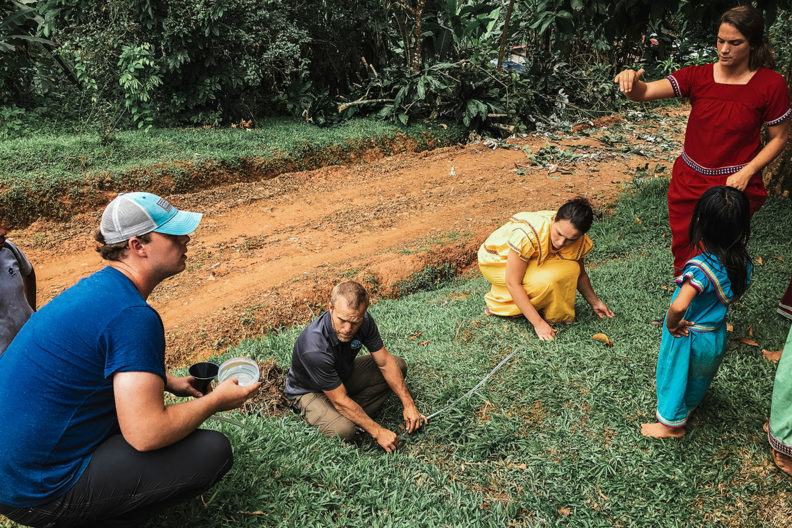 Last summer, six students in the club traveled to Panama with Karl Olsen, club advisor and clinical associate professor in the Department of Civil and Environmental Engineering, on an assessment trip. The group hopes to go on a second trip later this year to implement their clean water plan. 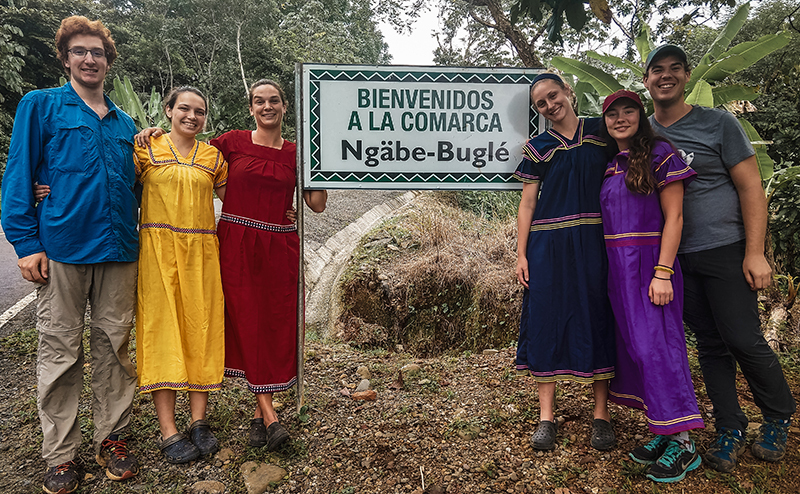 The Engineers Without Borders Travel Team pose at the entrance to the Ngäbé‑Buglé Comarca. The proposed project includes a system of pipes and a pump to deliver water from a nearby well to village homes. They are also helping to better map roads, homes and water lines in the area. Lack of data in the area has hindered the region’s development and growth. So far, they have completed the survey portion of the project. Find more information and buy tickets for the Feb. 15 event.